Well done to our superb swimming team who raced against local primary school pupils in this year’s Inter Schools Swimming Gala. 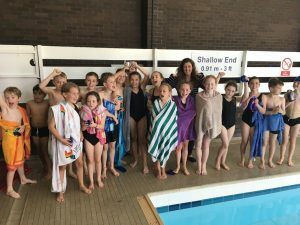 The always highly anticipated gala allows children to make the most of their swimming ability and compete together as a team to represent their school. Ghyll Royd did a tremendous job and we are delighted to announce that we came in second place, receiving a silver trophy for our efforts. Well done all!